Tired of looking for a reliable company to clean your carpets? Well, from now on you needn’t be. Why spend your valuable time cleaning your carpet when our team of Magic Carpet Cleaners in Pimlico (SW1V) are readily available to provide you with the most thorough and high-quality carpet cleaning services? We provide a wide range of carpet cleaning services with unbeatable prices. Dial 020 8861 0979 or drop us a line via our contact form below and our team of professionals can be at your address even the same day for a thorough service to leave your carpet cleaned for a long time! If you’re unsure of which of our services best suits your needs, please contact our customer services team on 020 8861 0979, drop us an email or send a message via our quick and easy to use contact form below. Our friendly office team will respond as soon as possible with a phone call. 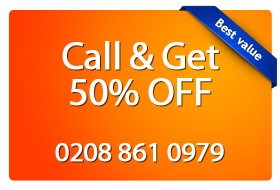 You get more information about our professional carpet cleaning services in Pimlico or book it right away. You receive a free price quote as well! Don’t delay but arrange a visit from one of our local teams to get your carpet cleaned by one of the best in the industry. We are sure you will be more than satisfied with the results.